Part of my new line of rings, this adorable cherry blossom charm is soldered to a handcrafted twisted sterling silver band. I have oxidized the band and charm to highlight detail. 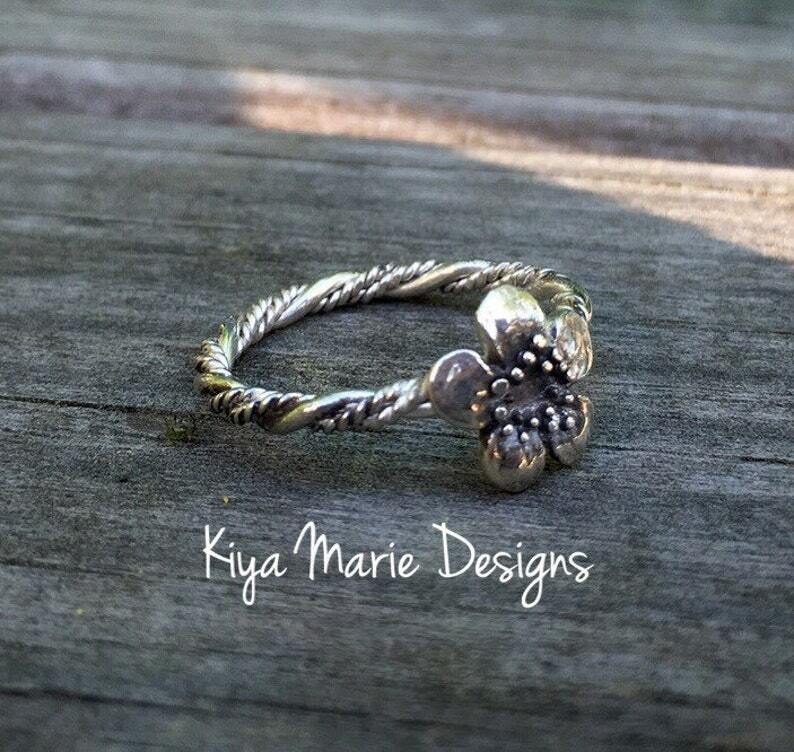 This ring can be made in any size. Please choose the size you would like the ring to be from the drop down menu. This ring will be made to order and sent in a gift box. Feedback is always appreciated, please contact me first if there are any issues with your order. I strive for 5 star feedback with my hand forged pieces. Thank you for looking!